I am qualified teacher of Piano, Music Theory, Harmony, Analysis and Composition. I hold a PhD in Composition by the University of York and I am a regular lecturer at universities and conservatoires in Europe and America. Over 25 years of experience teaching in schools, conservatoires and universities of three different countries. Music is the voice of the soul and my mission is to provide my students with the best skills to let their voice sound. 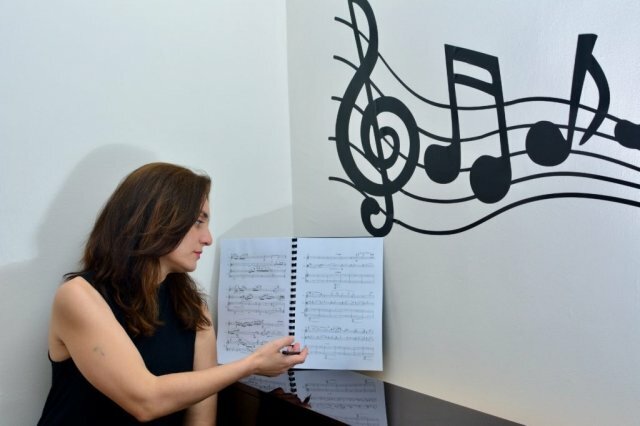 Whether you are a parent looking for piano tuition for your children, or an adult that wants to fulfil your music aspirations, my personalised approach will guide you into the fascinating world of music. Students will learn at their own pace, mixing technique exercises, favourite tunes, standard repertoire and music theory. Creativity is key for any musician, therefore, along with the piano skills, I introduce the students to the basics of composition and improvisation. My aim is to flourish complete musicians. My passion for music education has led me to write compositions for music student books for the Cantabile Musical Association and to launch my own publishing label Più Piano Publishing. Under that label I create, publish and sell my own music material which has proven to help the students to maximize their skills and to nourish their love for music. Lessons are delivered online or in person in my welcoming music studio with a brand new piano in York, UK. Lessons are available from beginners of any age to professional level. Preparation for all boards and universities exams. Enhanced DBS check. AnaFrom Harriet (5/5): I really appreciated the fact that Ana responded quickly to my request for harmony lessons. Ana explained all the concepts well, and the lessons can be structured around what you want to cover, so although materials are provided (which are useful too), if you want to bring in your own materials to go through then you can. This flexibility meant I got exactly what I wanted out of every lesson, and helped me a lot. I have noticed an improvement in my harmonic analysis in only a few weeks, so all in all I would highly recommend Ana as a tutor! AnaFrom Delia (5/5): Ana is an excellent teacher, she understands my needs and brings me nice exercises to practise, I am very happy with the classes and her knowledge.She is nice, polite, punctual and reliable. AnaFrom Roland (5/5): Ana is a very good tutor- very friendly and interested. Reply from: Ana: Thank you Roland. Very kind of you!